It's a very open secret that SRAM is developing a wireless electronic groupset, but what should we expect when the launch finally comes. When we received an invitation to a SRAM product launch in California a few weeks ago, we thought the day had finally arrived that the new SRAM wireless groupset, possibly the worst kept secret in cycling, was finally going to be unveiled to the public. Instead SRAM announced its new single ring 1x Road groupset which, although quite possibly a game-changer in the long term, was not what much of the cycling world had been waiting for. Despite having already chalked up victory courtesy of Domenico Pozzovivo at the Giro del Trentino, SRAM still isn’t giving an exact date for the unveiling of the groupset, although UCI regualtions state that prototype equipment used in races, as SRAM Wireless was at the Tour Down Under in January, must be available on the market within nine months. This would give SRAM a deadline of late September to release the new groupset, so we’d expect an official release before the end of the season. In the meantime we’re left to speculate as to the final details. So what should we expect from the final production version of SRAM Wireless? What do we already know and what still remains a mystery? Aside from the obvious point that this is an electronic groupset with wireless shifting, the most notable departure from SRAM’s exising groupsets is the abandonment of the DoubleTap system. In case you’re unfamiliar with the system, it is used on all of SRAM’s existing road groupsets, and controls shifting using only a single paddle behind each brake lever, which you pushed one notch inwards to shift up and two notches to shift down. 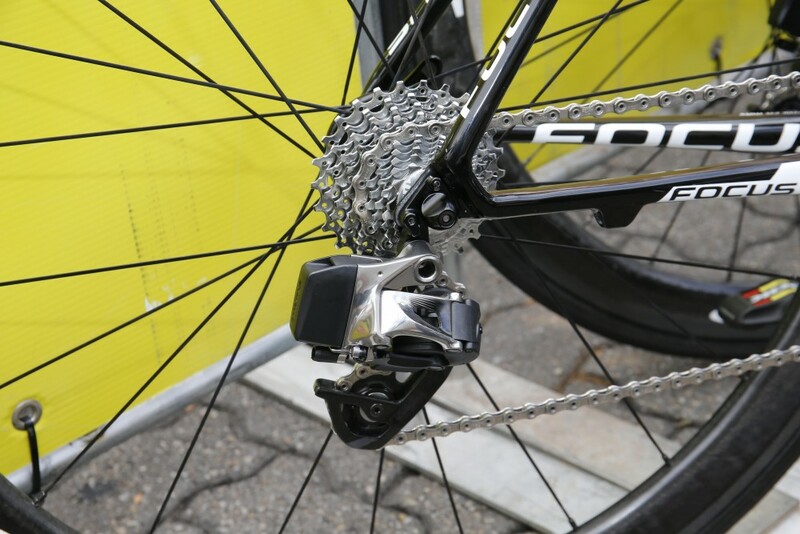 However the SRAM wireless groupset looks set to employ an entirely new system. The single paddle behind each brake lever remains, but that’s where the similarities end. With the new system, which is set to be christened “eTap”, you will simply press one paddle inwards to shift the rear derailleur up, and press the paddle behind the other lever to move it down. Moving between chainrings is even more of a departure from DoubleTap, with the front derailleur shifted by pressing both left and right paddles roughly simultaneously. The one major thing that remains unclear with the shifting is if SRAM Wireless will allow for multiple shifts by holding down the paddles, as is the case with Shimano Dura-Ace Di2. We’re also unsure whether the front derailleur will automatically adjust to avoid chain rub depending on where the chain is on the cassette. 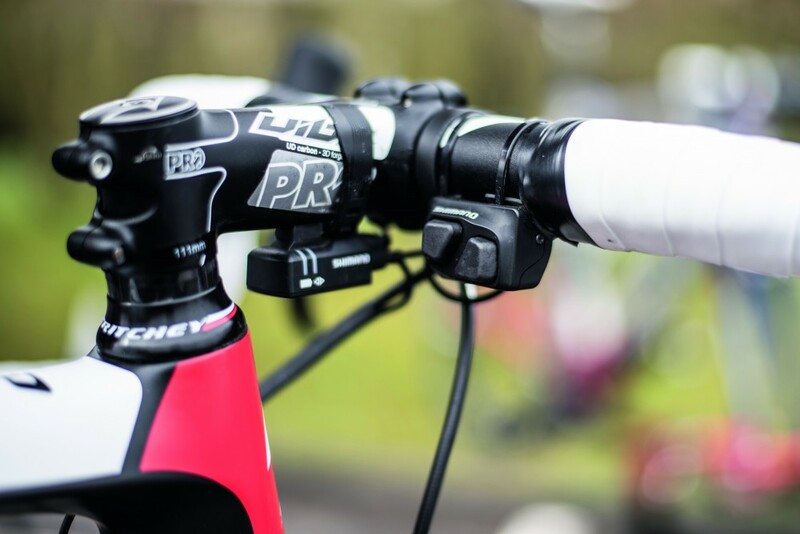 The wireless setup means that SRAM Wireless will not be able to operate from a single central battery unit in the same way as Shimano and Campagnolo’s electronic systems. Instead, each individual component will contain an individual battery, hence the black casing on the back of the front and rear derailleurs. Conveniently, the system will use CR2032 coin-style batteries, the sort you can pick up relatively cheaply on the high street. However, you shouldn’t find yourself searching out the nearest Tesco having run out of juice mid-ride, as battery life is expected to be anything up to a year. The impressive battery life is down to the fact that the automatic mode for the shifters and derailleurs is “sleep”, with them only waking up once you press the shifting lever. This is a welcome difference from Campagnolo EPS, which has to be turned on and off manually. The patent for SRAM Wireless contains plenty of details of the process of pairing the derailleurs with the shifters. In essence the process is pretty simple, and should allow for easy customisation of shifting. Each derailleur will come with a button that will put it into pairing mode, and pushing one of the shifters will then link that action with the derailleur. Each component comes with its own ID, meaning that you should only have to do this process once. Pairing should be made easier by the LED lights which are built into each component, indicating whether they are successfully paired or not. These lights could also be used to indicate battery life, errors and when components are in need of maintenance, although we’re not sure about this just yet. The introduction of Shimano’s D-Fly system allowed you to link your electronic shifting with your Garmin Edge 1000, 810, or 510 cycling computer, meaning you could easily see what gear you were in as well as other information such as battery life. It looks as though SRAM Wireless will contain a similar system, and will be able to communicate using either ANT+ or Bluetooth Smart. Whether this will be built into the first production version of SRAM Wireless or whether it will be released in a later software update remains to be seen, although we might expect the latter, as very few details are offered in SRAM’s patent application. The big question that remains unanswered with SRAM Wireless is whether there will be anything comparable to the sprinters’ and climbers’ shifters which have been so popular with the pros running Shimano Di2. Half the peloton seemed to be running some sort of satellite shifters at Paris-Roubaix, either with sprinters’ shifters located on the inside of the drops, or climbers’ shifters on the tops. 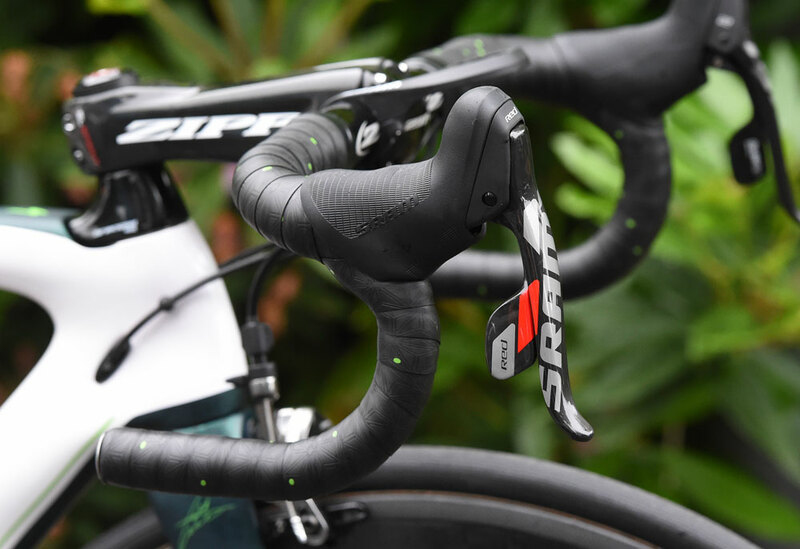 These systems have also proved popular with time triallists, who have been able to fit shifters next to the brakes to allow them to shift down when approaching corners, and up when sprinting out of them. 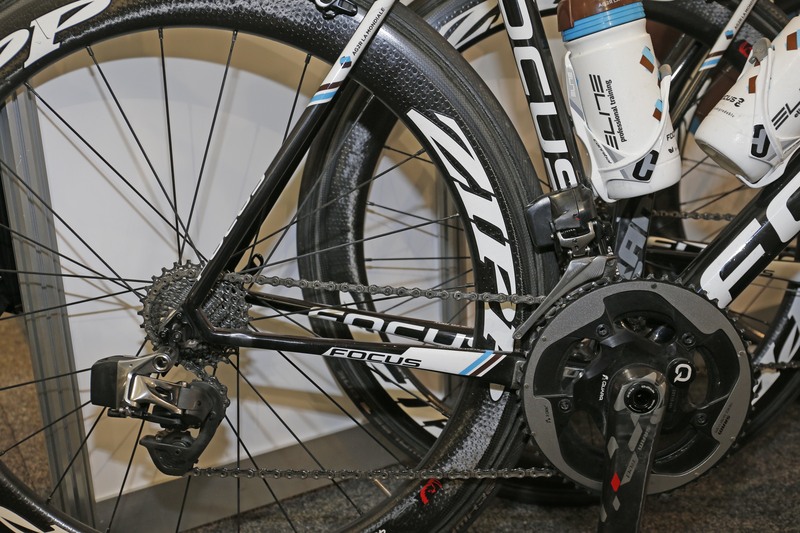 We haven’t seen anything of this sort on the bikes of Ag2r-La Mondiale just yet, but if SRAM Wireless is going to compete with Shimano Di2 in the pro peloton, some sort of remote shifting is a must. Following SRAM’s recent announcement of its 1x road groupset, it would seem strange if the company made its wireless offering incompatible with a wide range of gear options. 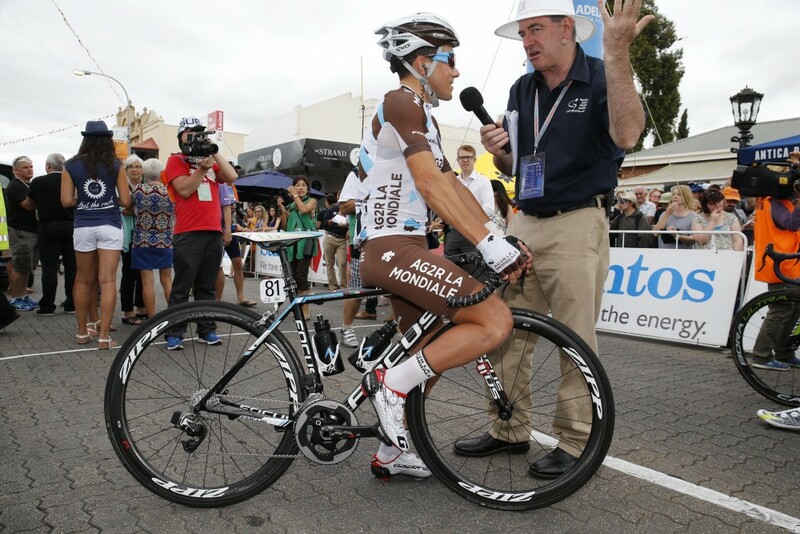 Of course Ag2r-La Mondiale have only been running short cage derailleurs while testing SRAM Wireless, but if the system is going to be able to accommodate the 11-42 cassette which will be available with the single ring setup, then there will need to be a medium cage rear derailleur on sale.